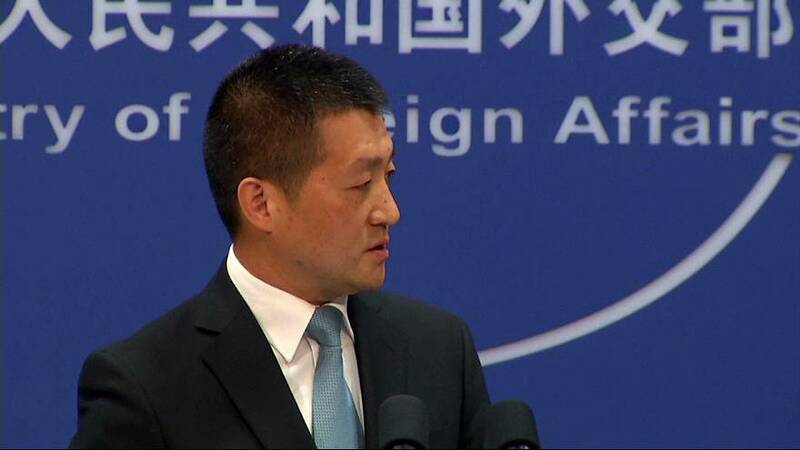 China has accused Taiwan’s president of seeking to use a planned stopover in the United States to undermine Beijing. It comes as Tsai Ing-wen’s controversial phone call to Donald Trump continues to cause rancour. China regards the self-governing island of Taiwan as a rogue province, and in Beijing the Chinese foreign ministry seized on the breaking of diplomatic protocol. Its spokesman Lu Kang said other countries should stick to the “One-China” policy if they wanted to develop ties and conduct mutually beneficial cooperation. He went on to accuse Taiwan and its leader of performing “small tricks” by engaging in what he called “transit diplomacy”. “The ulterior political intentions are clear for all to see,” Lu Kang added. Last Friday’s phone call was the first time for almost four decades that a US president or president-elect had spoken to Taiwan’s leader. Former US President Jimmy Carter broke off formal diplomatic relations in 1979. Since then America and Taiwan have retained strong unofficial ties, and the US sells weapons to the province – but American leaders have avoided official recognition in deference to China. Donald Trump’s series of tweets on the issue has been seen as an example of a toughening of US policy on China. One expert in US-Chinese relations in Beijing said his moves had made Beijing more sceptical and vigilant against the president-elect. “Signs are not good,” Dr Shi Yinhong, professor of International Relations and Director of American Studies at the Renmin University in Beijing, told the Associated Press. China has however responded positively to reports that the governor of Iowa is to become the next US ambassador in Beijing, describing him as an “old friend”. Terry Branstad has known China’s President Xi Jinping for over 30 years, according to Bloomberg. The pair first met in 1985 when Xi visited Iowa as part of an agricultural exchange, its report says. Reuters has quoted an official from Trump’s transition team as saying that Branstad is to be confirmed as US ambassador to China.